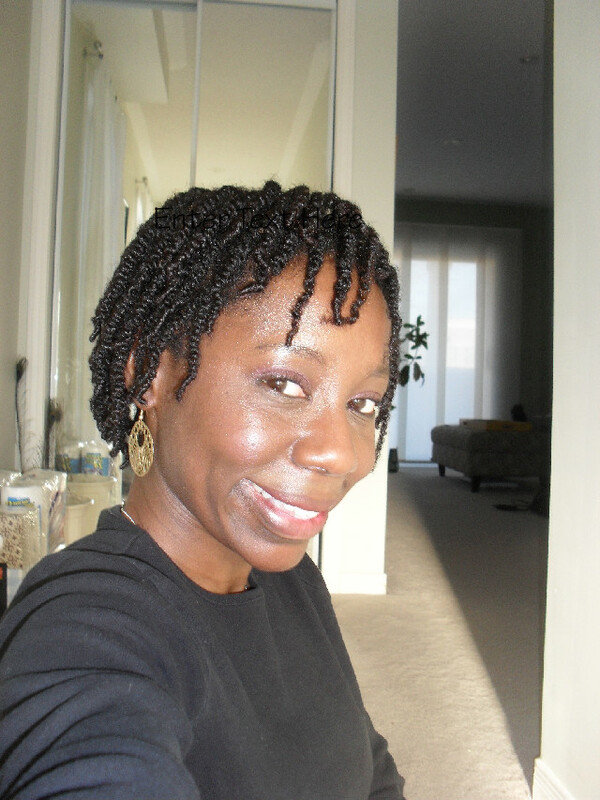 I never liked wearing my hair in just two strand twists. I just didn’t think it looked good on me and it made me sad because I wanted to wear my hair in this protective style for at least a week before doing a twist out. My scalp is another issue and another post because it has actually been behaving itself. After that, I tried my newest hair purchase: Silk Elements Megasilk Olive Moisturizing Treatment. I was at Sally’s Beauty Supply on Sunday. I had heard about Silk Elements products and I really wanted to try them. So I picked up the treatment because, really, my deep conditioner game isn’t on point. Anyhow, I added that and ran through my hair with the Tangle Teezer — it was like BUTTER. Since I finished up early, I decided to load up Days of our Lives on my iPad and get to twisting. 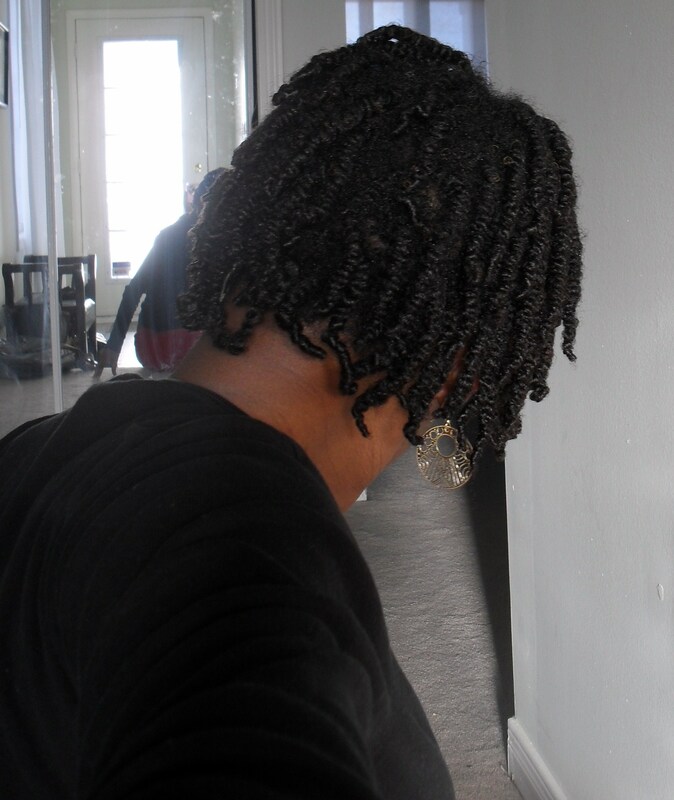 I decided to do some smaller twists — not mini twists, but definitely smaller than what I’m accustomed to doing. I mixed up my modified Kimmaytube leave-in (Giovanni Direct Leave-in conditioner, olive oil, castor oil and aloe vera juice) and got to twisting. I tried to add my watermark, but the application is playing the fool. So, here it is - don't tief me tings. Here's the back! It's a bit fuzzy in the middle, but I still like it. This combination seemed to work! I’m going to try to work these twists for the week and then wear a twist out next week… if the scalp holds up. What combination have you found that works on your hair and gives you the look and feel you want? Next Post Need some product? HoneyFig’s having a sale! Look’s great…I wish I had the patience to do my own. One day I’m going to try. You goddaughter co-signs also. She just came over and saw you. She said Aunty _____ looks great, her hair is beautiful, can we go to her house!!! That’s nice! As my hair grew, I became too lazy to do the twists the size of yours, but I’m inspired. Anyway, I like to use Carol’s Daughter Kizzi Stay Put when I have smaller twists I want to leave in. For twist outs I use a little CD healthy hair butter and CD Loc butter. I find that the Loc butter is also good moisturizer.